Hello, and happy hump day! It’s Wednesday, and it already feels like it should be sleep-in, do-nothing Saturday. But, unfortunately it’s not, which means a few more days of waking up early and working up a little more exhaustion to unwind over the weekend. Anyway, I wanted to bring up a scary topic today..well, scary for me because it was one of my biggest fears for so long! Two words: Open. Water. Does anyone else share this fear?! After watching movies like Jaws, Titanic, etc. I just could not shake the feeling that I would be one to end up in a horrifying situation that would take place in the Deep Blue. For that reason, I feared swimming out too far i the ocean, flying over any body of water in a plane, going on a water vehicle of any kind, or touching the bottom of ocean when swimming just in case something was waiting to sting or bit me. To some people, this fear may seem silly, but to me it was reality. That is, until I met my Matthew. Now, I’m not going to try and make this a super mushy story about how the love of my life opened my eyes, yada yada. But, the truth is, he really did push me past the limits my own fears had placed on myself. My Mr. is a scuba diver, goes on a yearly trip to the river, and loves the open water and everything that comes with it. When we started dating, he would encourage me to push past my fears, but was so patient with me. 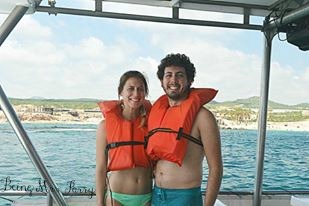 I went snorkeling for the first time with him and was TERRIFIED! He calmed me down as I screamed like a baby, and encouraged me to try again in the future. I went on a trip to the river with his family, and got on a Sea-Doo for the first time, and was THROWN OFF of a Sea-Doo for the first time. Through time, I actually grew to love the open water. I jumped off a rope into the river, I have been on many boat rides, and gave snorkeling another try and loved every minute of it! The point is, I had a fear, and I trusted someone enough to help me get over that fear and now I feel so free and adventurous when it comes to open water. I knew that Matt loved me enough to try and get me to face my fears, but also loved me enough to protect me and not let anything happen to me. I trusted him so much that I let him pull me out into t he ocean, I let him drive a Sea-Doo (then throw me off of a Sea-Doo), I let him get me on multiple boats, and take me to an island that is SURROUNDED by open water. I trusted him. If we can trust our significant others, our spouses, our friends, families, or any other human being with our lives or with something that we hold so tightly to, why do many of us have such a hard time trusting our creator and Father that much? One of my favorite pieces of scripture is Proverbs 3:5&6, which says “Trust in the Lord with all your heart and lean not on your own understanding; in all your ways submit to him, and he will make your paths straight,” the keyword being ALL-trust Him with ALL your heart. The Bible doesn’t say to trust The Lord with some of your heart, or with just your fears, or just your finances, or trust Him to heal your friends but not yourself! God asks us to place ALL of our trust in Him. I, along with many of you, I’m sure have had to learn this over and over and over again. It’s a constant battle for me to trust God with every single part of my life, but I know that I should. God only wants what is best for us, so why shouldn’t we trust Him? 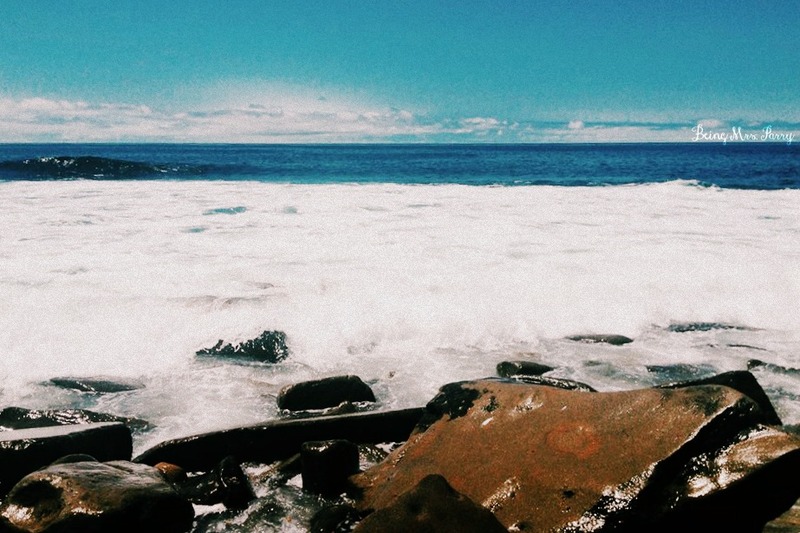 In a sense, placing all of your trust in God can be just as scary as getting out in open water-you have no idea what you are in for, or what lies beneath…or, ahead. But trusting God is also so so so much better and safer-our Father is such a loving, protective Father and He only wants what is truly best for us. When we place all of our trust in Him and surrender control to Him, everything else just seems to fall into place. How amazing is that?! I pray that those of you who read this are reminded of the importance and the necessity of trusting God with ALL of your heart, and that you prayerfully acknowledge the areas in your life that you are having a hard time trusting God with. Remember: He loves you so much, and only wants what is best for you, but also remember that your idea of what’s best is sometimes different than His-so TRUST HIM!! Thank you for reading! Please feel free to share your thoughts and experiences on the subject.